Give your time and talents to bless those in need. When people in our church respond to a personal calling to serve those in need, Community Impact comes alongside them to support and promote their vision, creating “Missional Serving Teams.” These Missional Serving Teams, led by HCBC members, respond to a variety of needs such as mentoring at-risk youth, supporting foster families, evangelizing the incarcerated, providing disaster recovery, and so much more. Respond to your personal calling & join a missional serving team! Agape Pregnancy Resource Center exists to demonstrate and share God’s unconditional love by providing practical help and loving support to those facing an unplanned pregnancy. Agape PRC provides pregnancy testing, ultrasounds, educational opportunities, counseling services, maternity clothes and more – all at no charge to the client. Agape PRC is located at 104 E. Main St, Round Rock, TX 78664. The center’s hours are MTWF 9:00 am – 5:00 pm, and Thursday 12:00 to 8:00 pm. Also accepting donations of diapers and other pregnancy items. For more information or to volunteer, email HCBC ministry leader Greg Meyer or call 512.248.8200. Trotter House offers resources and services including pregnancy testing, sonograms, Life Skills classes and more. The mobile unit visits the Christian Resource Center on the 1st and 3rd Tuesday of each month, and client services are available during the rest of the week at the newly renovated office in Central Austin. Trotter House is located at 2717 Rio Grande, Austin, TX 78705. The center’s hours are Mon & Wed 10:00 am – 3:00 pm, Tues 10:00 am – 6:00 pm, Thursday 12:30 – 6:00 pm, and 1st & 3rd Saturdays 10:00 am – 2:00 pm. For more information, email our ministry leader Rachel Carpenter at rachelcarp@outlook.com. Registration for the 2018-2019 school year is open now at Education-Connection.org. When you register, you will receive instructions for an online training session that will prepare you to begin serving as a Literacy Partner. Apartment Life believes that a community can be radically transformed when a single team intentionally invests in the lives of neighbors and combines heartfelt service with joy, fun, and authentic relationships. It’s that simple! Each Apartment Life Team (a married couple, family, or two single adults of the same gender) moves into an apartment community and partners with the management team. Through the program, the team has the opportunity to build community and serve residents by doing things that flow naturally out of the Christian lifestyle – welcoming new neighbors, planning social functions, building spiritual relationships, and caring in times of need. You can get involved by serving as an Apartment Life Team member or volunteering to support these teams and help at special events. To learn more or volunteer, contact HCBC Ministry Leader Keith Burris. Hill Country Bible Church partners with Austin Disaster Relief Network (ADRN), a non-profit organization that exists to bring hope into crisis. ADRN unites a network of Christ-centered churches from across Greater Austin with members who are trained and ready to respond when disasters occur. Volunteers are needed for clean-up, recovery, emergency response, administrative support and to shepherd families from crisis into recovery and connect them to a local church community. Click HERE for current training opportunities. For more information or to volunteer, email HCBC ministry leader Vern Williams. engage! is a non-partisan HCBC Community Impact ministry encouraging believers to get involved in the civic arena with the compassion and wisdom of Christ and to pray for our leaders with understanding. Check out our new website at engage-citizen.com. Below are some ways to get involved! Join us for a four-week class on Sunday mornings from March 17 – April 7 from 9:00 – 10:30 am at HCBC Lakeline, Room 4.120. We will explore how to engage! with Christ followers currently serving in the state legislature. Q Commons - "The Power of We"
This two-hour interactive POWER of WE event with Q Commons will educate Christians on how to dive into our divisive culture with the love and wisdom of Christ. Join this unique opportunity for interactive conversation and learning. We will hear national and local speakers, unify attendees, inspire the generations, and challenge our culture to engage well. Launching of engage! website with a bi-monthly newsletter to equip, connect and engage the body of Christ with local, state and national civic events, a calendar, serving opportunities and resources. If you would like to subscribe to Equip!, please email us at engage@HCBC.com. Newsletter development including book reviews, Media team, Website development, Civic equipping trainers, Research, Prayer warriors, Social Media development. Please contact us at engage@hcbc.com for more information. God’s Word for the WorldThe Gideons single purpose is to win the lost to Christ through personal witnessing and by placing God's Word into the hands of others. Gideons do this in our local community and in approximately 200 countries with the support of many churches like ours.You can read, listen to and share the Bible using the Gideons Bible App (in 1,200 languages) by downloading the free app at Gideons.Bible.is. For more information, email Derrick Burt. The mission of the HCBC Foster & Adopt ministry is to encourage, equip and build community among foster and adoptive families and those who wish to support them. If you have a heart for children from hard places, we invite you to get involved. Connect: Meet other families who are at various places along their foster and adoptive journey. You’ll be blessed by the opportunity to share stories, offer encouragement and learn together. Equip: Find out about classes, training sessions and conferences that are available to support your family. Resources: Hill Country Bible Church partners with Fostering Hope Austin to build stronger adoptive and foster families. Join us for a Foster and Adoption Ministry potluck family picnic. Come connect with Adoptive, Foster and Supportive Families within our church. Bring a dish to share. Please RSVP to our Ministry Leaders. ShowHope’s Empowered to Connect Simulcast for churches and small groups is presented by the Karyn Purvis Institute of Child Development. The content is ideal for adoptive and foster parents, those considering adoption or foster care, and those who are serving and supporting others, including social workers, agency professionals, church staff and ministry leaders, counselors, and therapists. HCBC will be a simulcast location for the conference. Be sure to register to reserve your spot. Join us for a Foster and Adoption Ministry potluck family picnic. Come connect with Adoptive, Foster and Supportive Families within our church. Bring a dish to share, and RSVP here to our Ministry Leaders for location details. Join us for a Foster and Adoption Ministry video training and social time. RSVP here to our Ministry Leaders for location details. Join our Facebook page. This is a closed group for confidentiality, but just click the link and request to be added. Follow us for up-to-date info on our ministry’s latest events. Questions or suggestions? Email our Ministry Leaders for more information. Is God Calling You to Serve Prisoners & Their Families? When people in our church respond to a personal calling to serve those in need, Community Impact comes alongside them to support and promote their vision. In the area of Prison Ministries, several Hill Country Bible Church members have felt led to serve and support the incarcerated and formerly incarcerated. Join them on their mission! We have several opportunities to serve and provide for those who are affected by incarceration and show them the hope found in Christ Jesus. A ministry that assembles and distributes gallon size zipper bags containing water, non-perishable food and other basic items for our homeless community, Church Under the Bridge, and others in need. Volunteers are needed to assemble and/or distribute bags on the dates listed below. Also accepts donations of travel-sized hygiene products, new/gently used socks and disposable water bottles. No advance sign up needed, just show up! This is a great opportunity for families and/or small groups to serve together. Church Under the Bridge Distribution on the following Sundays from 11:15 am – 12:15 pm. Meets in the parking lot under the Interstate 35 bridge between 7th and 8th Streets. Exit B234. For more information, email HCBC Ministry Leaders Kevin and Lori Thomas. Kids Are Making a Difference with Bags of Grace! Young Addison came to a Bags of Grace assembly and was so moved, that she told her mom that instead of presents for her birthday, she wanted to invite her friends for a Bags of Grace assembly. All of her friends got Bags of Grace shirts and they assembled bags at her party. We’re thankful for Addison’s servant heart, and how she is already demonstrating what it means to be the hands and feet of Jesus! Meet Bailey. He has been homeless for many years but found Christ in 2010. Bailey was speaking with Bags of Grace Ministry Leader Lori Thomas about how much he has been blessed over the years by the Bags of Grace ministry and the people he has met who minister under the bridge. He said that he really wanted to give back to help others and asked to make a donation. The picture shows Bailey and Lori as he pulled out a $100 bill and joyfully gave! The team were all surely blessed by this cheerful giver that Sunday! What a testament of God at work. Multiple Opportunities to Serve the Needy in Round Rock. Ideal Volunteer Opportunity for Individuals, Families with Teens, and Small Groups. Round Rock Area Serving Center provides a food pantry, Round Rock Coats for Kids, clothing & furniture vouchers, Computers for Kids, community gardens, The Volunteer Center, adult computer classes in English & Spanish, a charity thrift store, and more. Specific volunteer need: Phone receptionists, client receptionists, casework interviewers, pantry volunteers, cashiers, gardeners, and food / merchandise sorters. Volunteers are also needed to pick up food donations, drive the truck, teach computer classes, and for data entry. RRASC accepts donations of food, clothing, household items, furniture and computers Monday – Saturday 8:00 am – 4:00 pm. The Food Pantry and Treasures Charity Resale Shop & Boutique is open Monday – Friday 10:00 am – 4:00 pm & Saturday 9:00 am – Noon. For more information email HCBC Ministry Leader Bill Davis or call RRASC at 512.244.2431. Weekly Programs Serving Children & Youth in East Austin and Pflugerville. Ideal Volunteer Opportunity for Families with Teens & Small Groups. Mission: Possible! 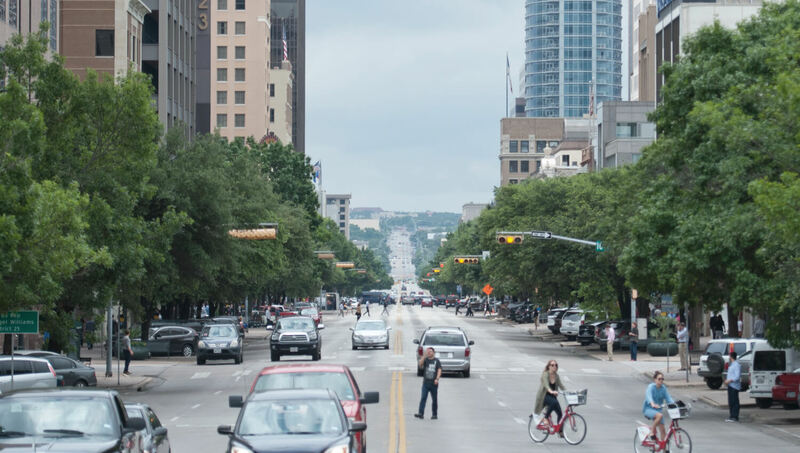 Austin is a collective of ministries working together to connect the Body of Christ across the Greater Austin area with individuals in under-resourced areas for personal transformation through life-on-life relationships. Ministries include: Camps, Bible Clubs, Church Under the Bridge, special events, and more. Mission: Possible! Austin also accepts donations of food, Bibles, baby supplies & kid’s toys. For more information or to volunteer, email HCBC ministry leader Jon Rector. Camp Wilderness Ridge exists to change the world through the leadership of REAL men. Our mission is the same as it has been for the past 30 years, to lead campers to the life-changing reality of our Lord Jesus the Christ. Designed for young men grades 1 - 11, the summer camps are Christ-centered, wilderness-oriented, servant-leader focused, and affordable. Summer staff opportunities include roles as a servant and leadership trainee (SALT). There are numerous projects that a small group can complete or move toward completion in a 5-8 hour project effort on site and projects that can be performed off-site and then delivered to camp. Land clearing (including chain saw work), demolition, interior framing, building construction, bunkhouse restrooms expansion (demolition & building), lakeside equipment building, convert a restroom to laundry area for volunteers. Volunteer options: Projects are available weekends and weekdays. There is a RV area with complete hookups (water, septic, & electric) for those that can volunteer several days or weeks at a time. For more information or to volunteer, contact HCBC ministry leader Don VanOverloop, 512-244-1969 or Ron Hunt, 512.554.5074. HCBC partners with Williamson County to provide mentors for students assigned by the court. Model the love and hope of Jesus Christ through a personal relationship to achieve agreed upon goals. Volunteer commitment: Meet one hour per week with assigned mentee for 6 months. For more information or to mentor, email HCBC staff member & ministry leader Debby Fleming. HCBC sponsors Pack/Troop 234 providing a values-based program for young people that builds character and leadership, as well as training them in responsibilities of participating, citizenship, and developing personal fitness. Volunteer need: Den & Troop leaders. Volunteer commitment: Varies, contact for details. For more information on Cub Scouts, email Ben Mouton. For more information on Boy Scouts, email Chuck Boorman. Specific volunteer need: Mentors & Bible study leaders (especially African American or Hispanic males) to meet with students in Williamson & Travis County juvenile detention facilities to pray and equip them with the gospel. Also looking for individuals to provide meals for Thursday night teen center gatherings. Nineveh accepts donations of cars, trailers, old cell phones and computers, food and pallets.